Crete is the largest of the Greek islands; it is located southeast of Athens in the Aegean Sea. The island has a varied landscape, from white sandy beaches to rugged mountains. 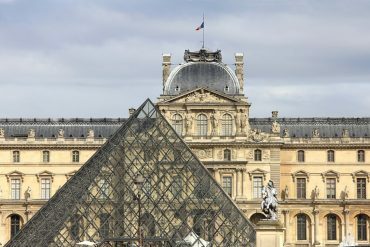 Its history is just as varied, from the Minoans to the modern day. Settled by Neolithic tribes, who later became the Minoan civilisation, Crete has also been ruled by the Mycenaeans, Romans, Byzantines, Venetians, and Ottomans. 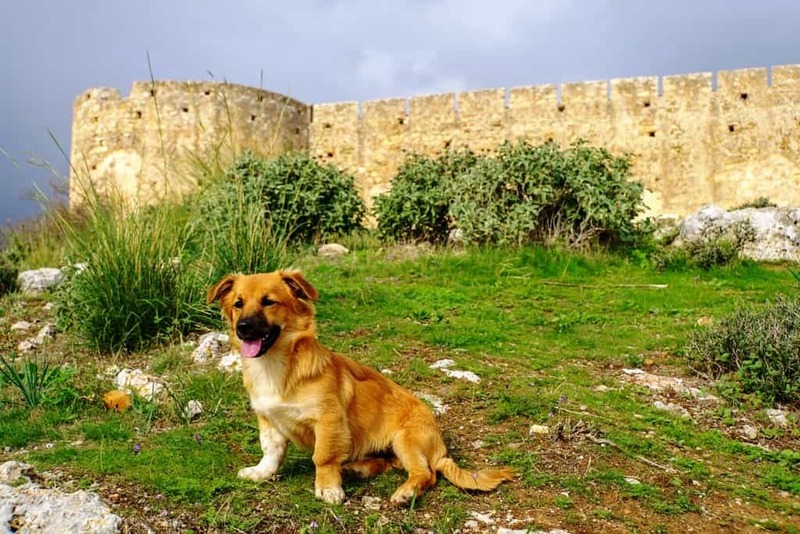 For a brief period in the late 19th century, Crete was independent; it became part of the Kingdom of Greece in 1913.. Crete is known for its many ruins, including the Palace of Knossos, and bustling towns. Crete straddles the Mediterranean/North African climate line, making temperatures fairly consistent year-round. Summers in Crete can be hot and humid, with highs in the 30s, while winters are mild and cool. Snow, if it falls at all, remains for only a brief period and mostly in the mountains. The south coast, which includes the Messara Plain, falls in the North African climate zone, and is warm and sunny for much of the year. October is the perfect month to visit Crete. While it is the first month of autumn, it is still warm across most of the island and sea temperatures are around 23 degrees. There might be some rainfall, especially in the mountains and inland towns, but it is often short-lived. 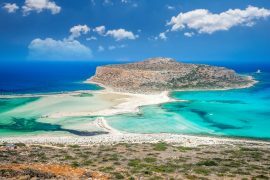 You may think of a Greek island as a summer destination, but there are some compelling reasons to visit Crete in October. For example, it is less crowded than in the summer months. This is owing to the fact that many people have work and school during October. 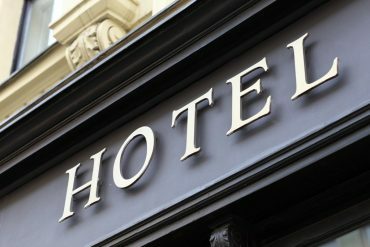 It is also usually cheaper to travel in the fall, when summer prices have fallen and hotels are offering attractive packages. Weather-wise, it is still sunny most of the time and people still spend ample amount of time at the beach. 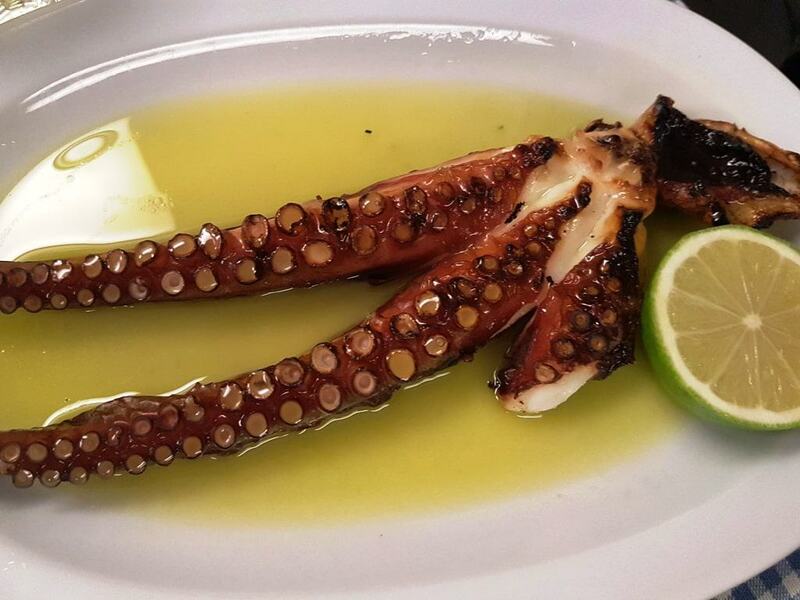 Towns in Crete, like Chania, remain lively all year round, with restaurants staying open. Several harvest festivals take place across the island in October as well. As the weather cools down and the beaches empty out, there are still alternative things to do in Crete in October. 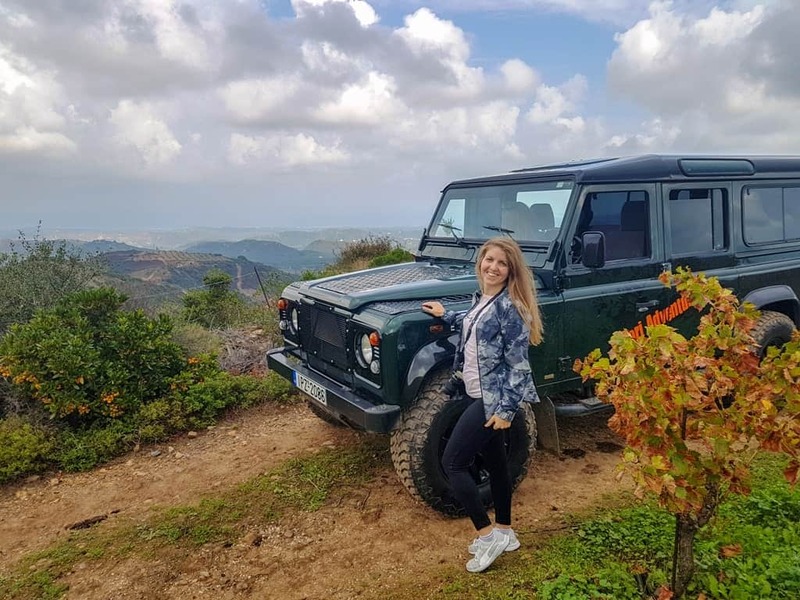 I recently visited Crete in October, and there was so much to see and do that I was never bored. 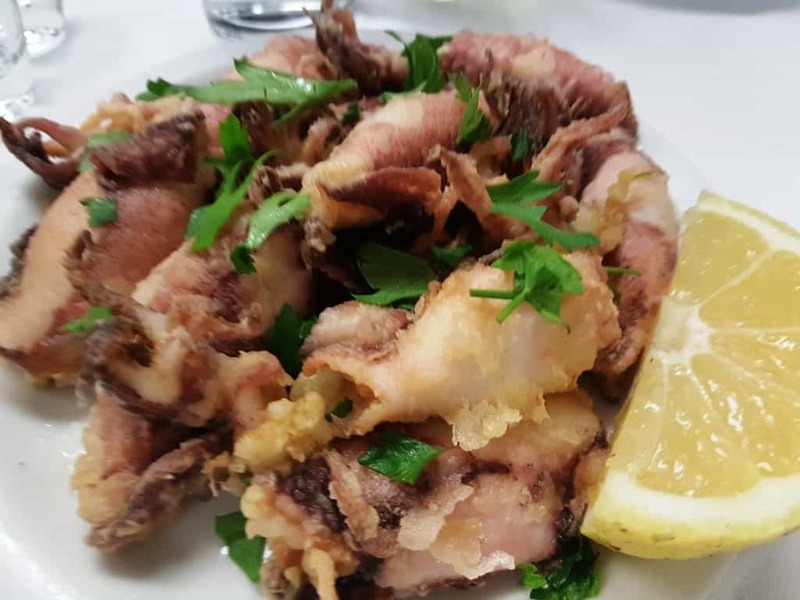 The below list includes some of the things we did on our trip to Chania. Chania is one of Crete’s larger towns. It is located on the western half of the island, on the northern coast and is the capital of the Chania region. It was an important Minoan city, as well as an important city-state during the Classical Greece era. Much of the old historical town is Venetian, and is surrounded by ruins of the Venetian city walls. 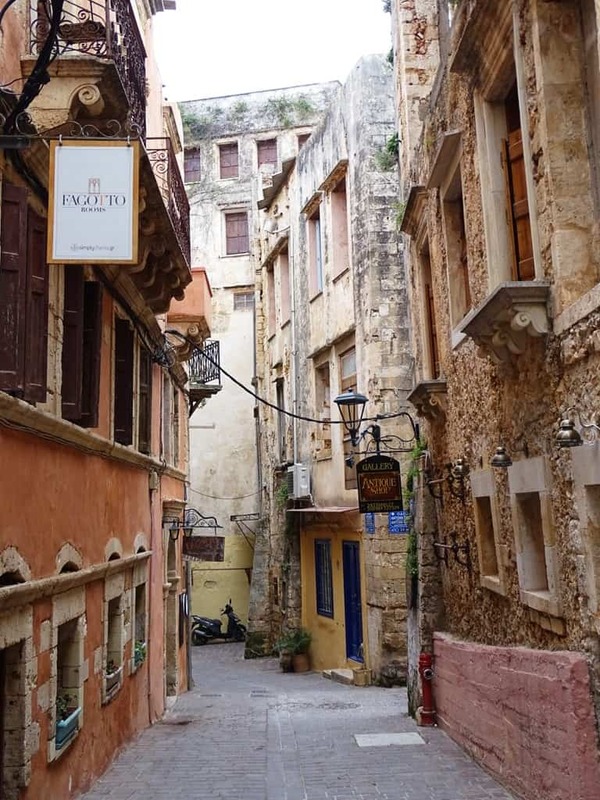 Of course, this core is the centre of the earliest civilisations in Chania, which date back to the Neolithic times; the modern town is simply the remainder of the Venetian city. The main square in the old town is named for Eleftherios Venizelos, who is considered the maker of Modern Greece, and is the hub of most tourist activities. Nearby is the old Venetian port, the Egyptian lighthouse and the Topanas district, the old Christian quarter. The old Jewish quarter is within this district as well. Today, this neighbourhood is popular in the summer, and is home to a number of restaurants and bars, shops, and hotels. In the winter, or in the warm fall months, it’s still a great place to go for a casual drink or a nice dinner in the evenings. 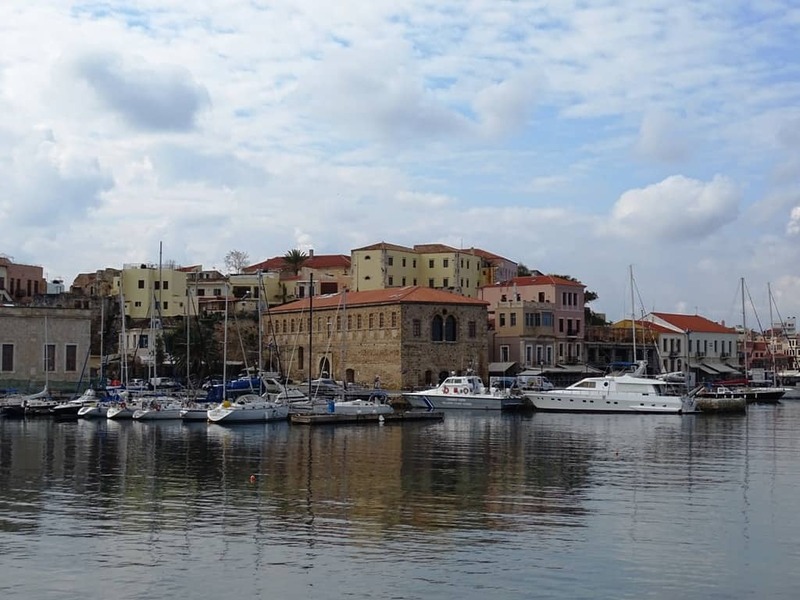 Chania’s modern town has two popular neighbourhoods, Nea Hora and Halepa. 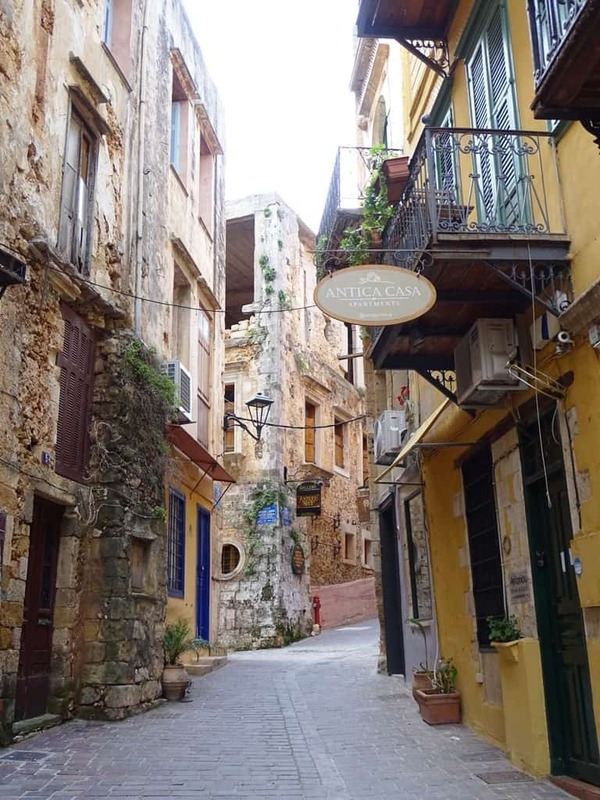 Both have charming narrow streets, beautiful architecture, and plenty of character. Many of the churches in these neighbourhoods date to the early 20th century but are worth seeing for the ornate decoration and history. Museums in Chania include the Archaeological Museum at the Saint Francis Monastery, the Nautical Museum, Folklore Museum, Byzantine Collection, War Museum, and the Museum of Typography. 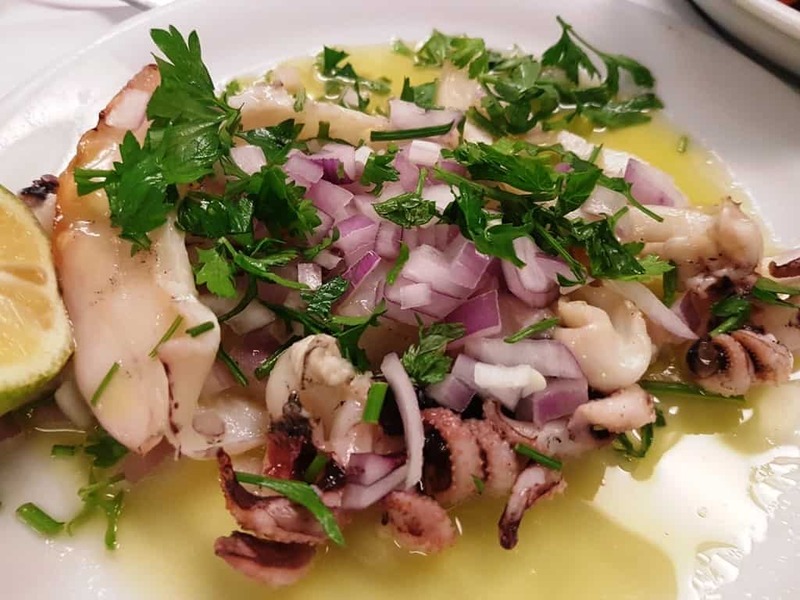 Located in the old harbour of Chania, Salis Restaurant serves Cretan flavors with a modern twist. 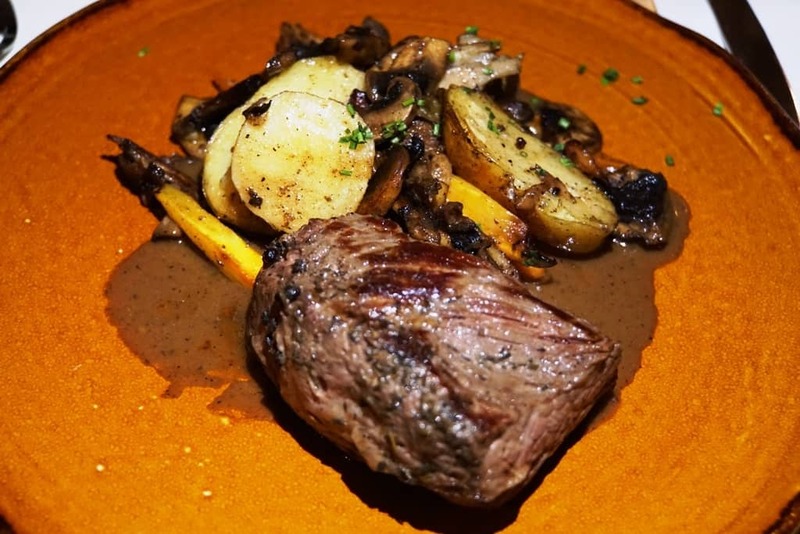 It has a seasonal menu and all the products are from local producers. 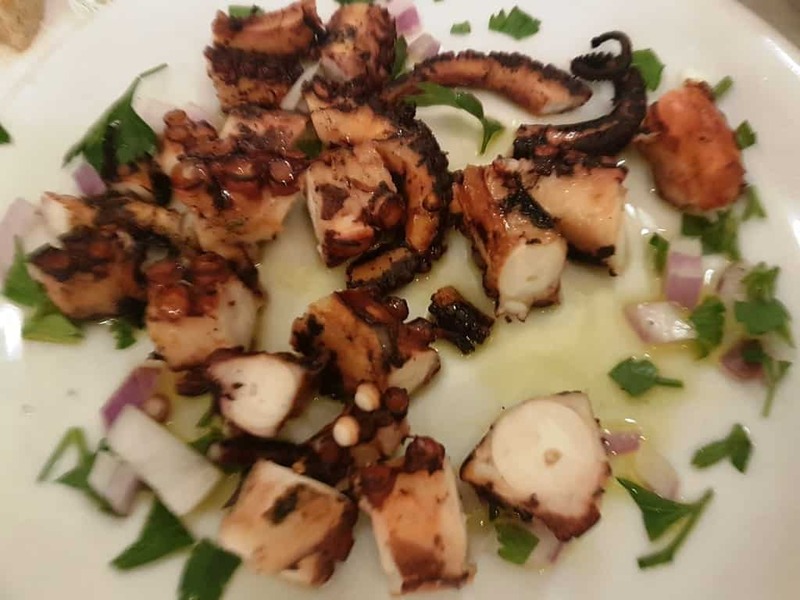 Located at the seafront of the old harbour of Chania, Apostolis is a family run restaurant serving fresh fish and seafood. 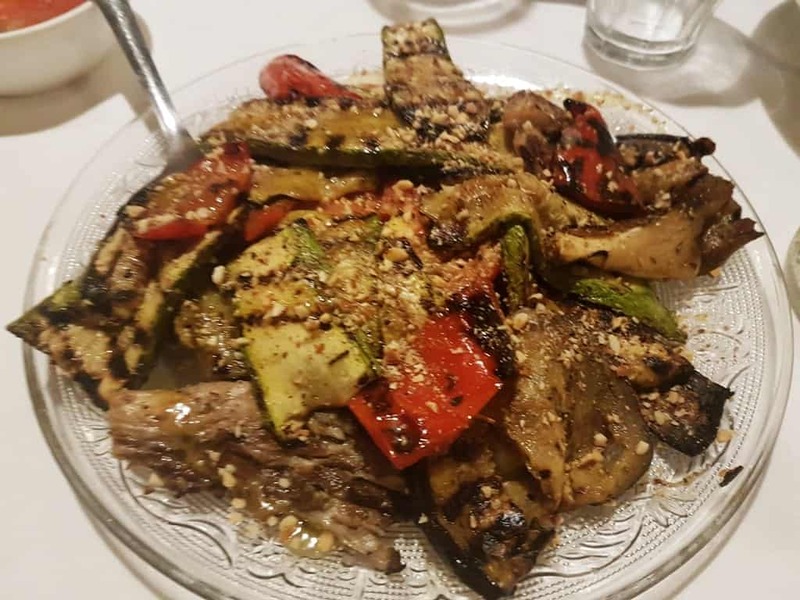 This traditional restaurant located in the alleyways of Chania’s old town near the market is housed in building dating back from 1618. 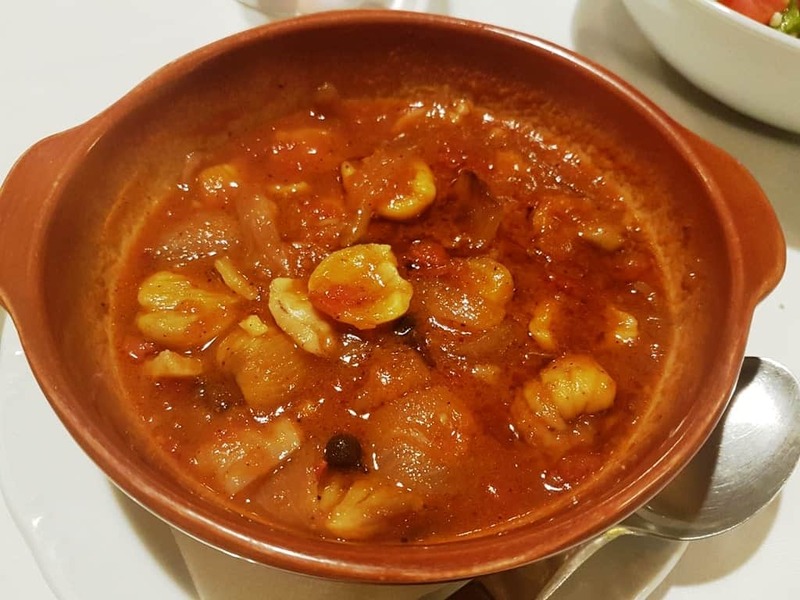 It serves traditional Cretan dishes made from local products. 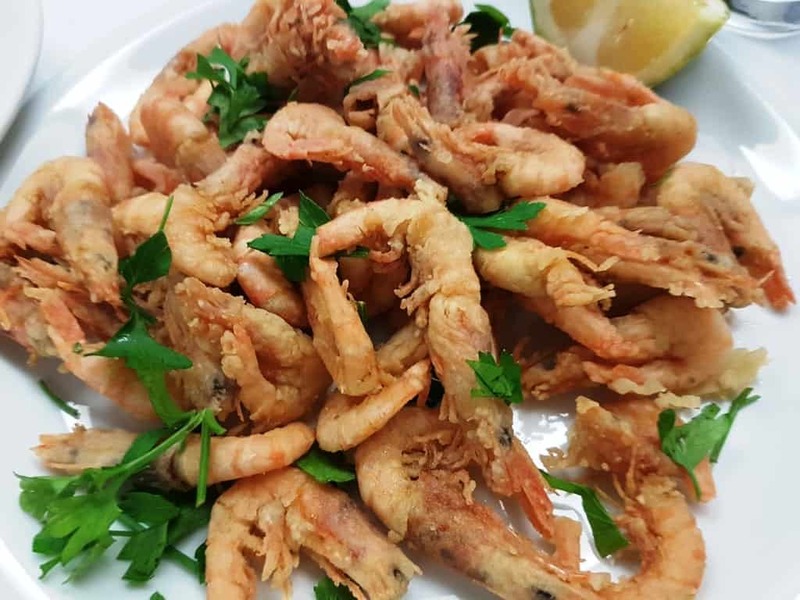 Located in the scenic Tabakaria neighborhood, on the waterfront, Thalassino Ageri serves Mediterranean cuisine, fresh fish and seafood. 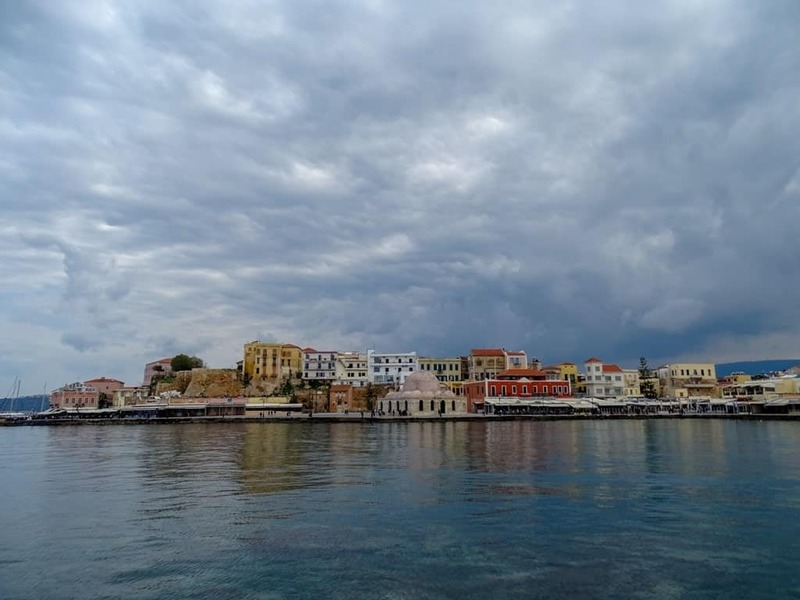 Check out my post on things to do in Chania Town. The White Mountains, or Lefka Ori, are the main geologic feature of the Chania province on the western side of Crete. These majestic limestone mountains are home to fascinating caves, gorges, and traditional villages. Their name comes from their colour, but in the winter they are snow-covered. We took a tour with Safari Adventures to explore these rugged mountains. The tour began in the early morning with hotel pick up in the Jeep. Then, our guide drove across the fertile valley into the mountains. The first stop was a traditional coffee shop in one of the many charming mountain villages. 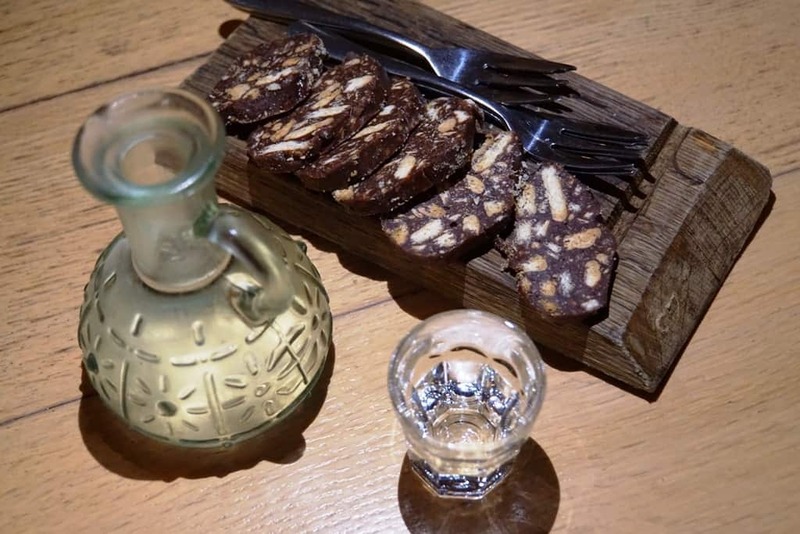 there he had the chance to enjoy some tea and coffee along with raki, homemade cheeses, herb pies, and other delicacies. After the small break the tour continued off road to a shepherd’s hut. 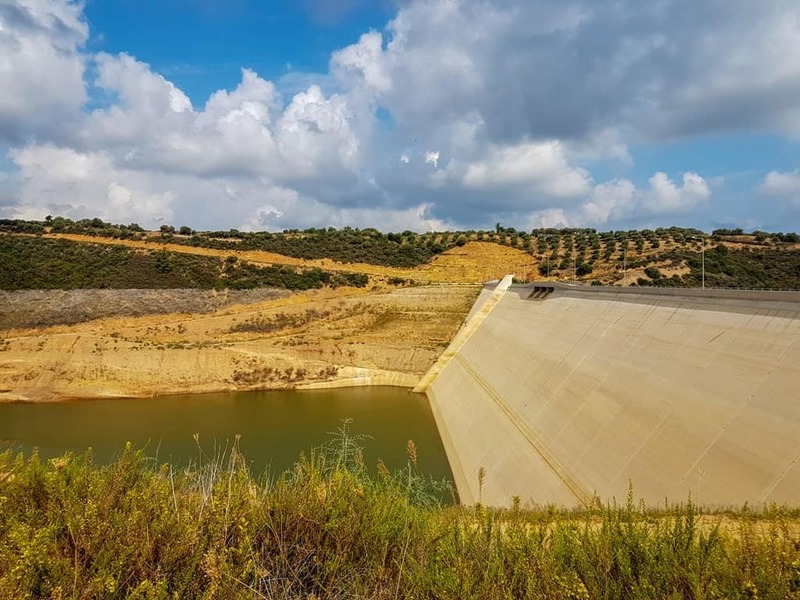 We passed by the dam and several vineyards en route to the hut, known as Mitato, where we also learned about the Cretan Graviera cheesemaking process. The views from up there were spectacular, and it’s possible to spot eagles or other wildlife in the mountains. After we left the hut, we drove back toward the coast along the ridge, enjoying gorgeous panoramic views the whole way. 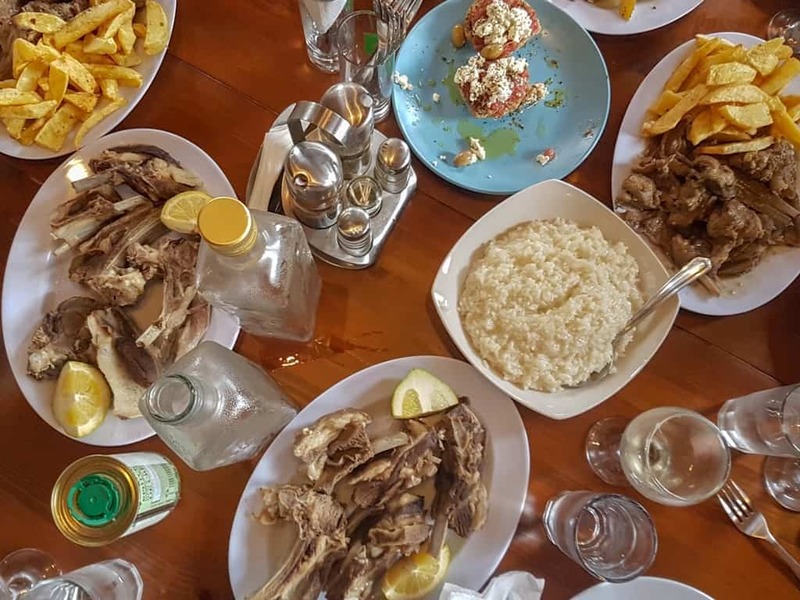 We stopped for lunch at a small tavern in Therissos, where the owners plied us with Cretan wines and traditional food like lamb, sausages, and more. The tour ended back in Chania after we drove through the Therissos gorge following our leisurely lunch. 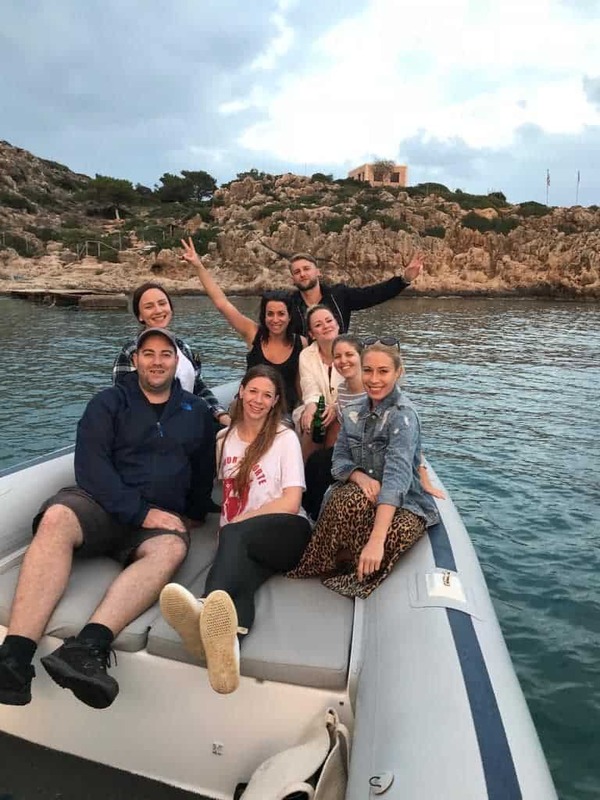 Notos Mare offers a selection of private boat trips around Crete. 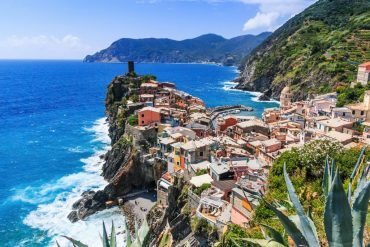 They can start from the north or south coast, depending on where you wish to explore, and all can be tailored to your specifics. 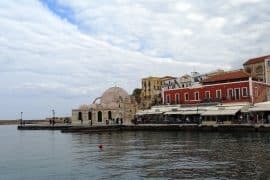 We started our day excursion from the old port of Chania, so we could sail around the harbour and take photos before leaving for Thodorou Island. This uninhabited island is a protected haven for the endangered wild goat, known as “agrími” (or easier, “kri-kri”). 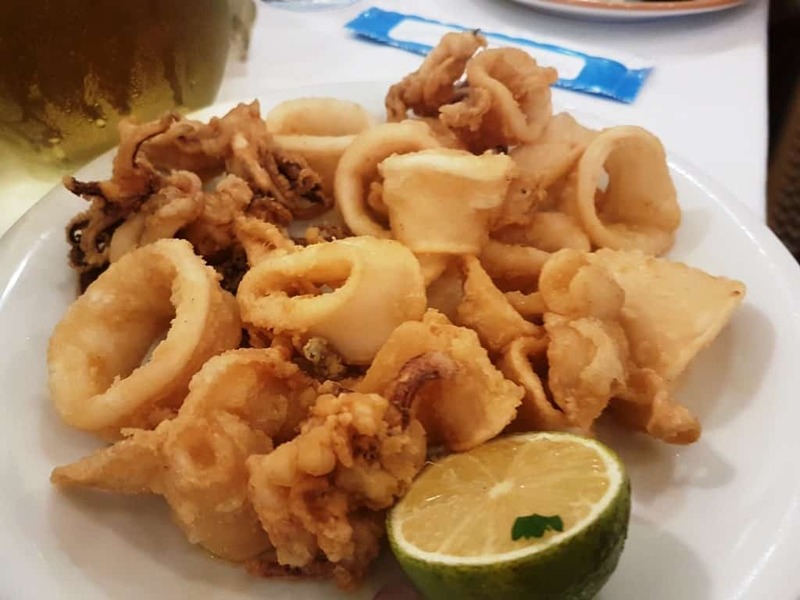 It is also a Natura 2000 protected area, which is a network of protected nature and marine sites across the European Union, and the largest such network in the world. 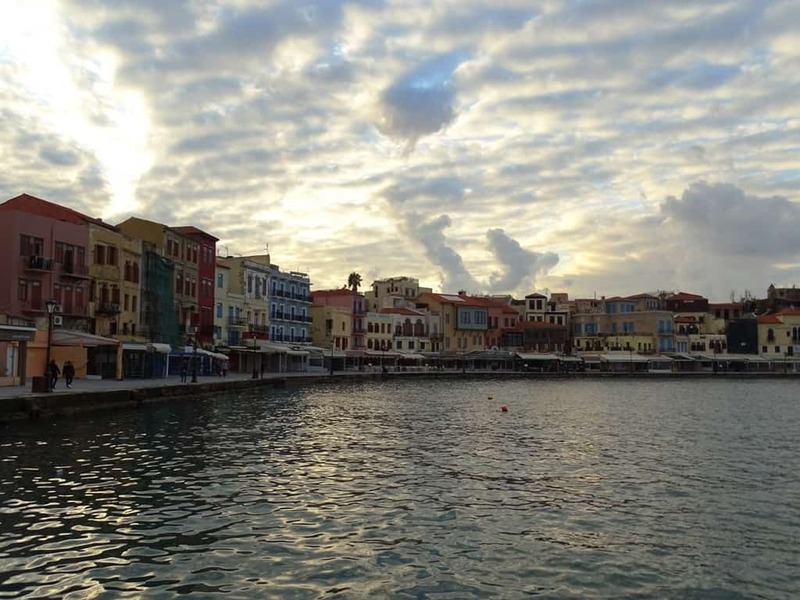 After enjoying some swimming time at Thodorou, we cruised back to Chania at sunset. Crete has been known for wine since the Minoan civilisation. In the Roman era, Cretans exported sweet wines to Italy. 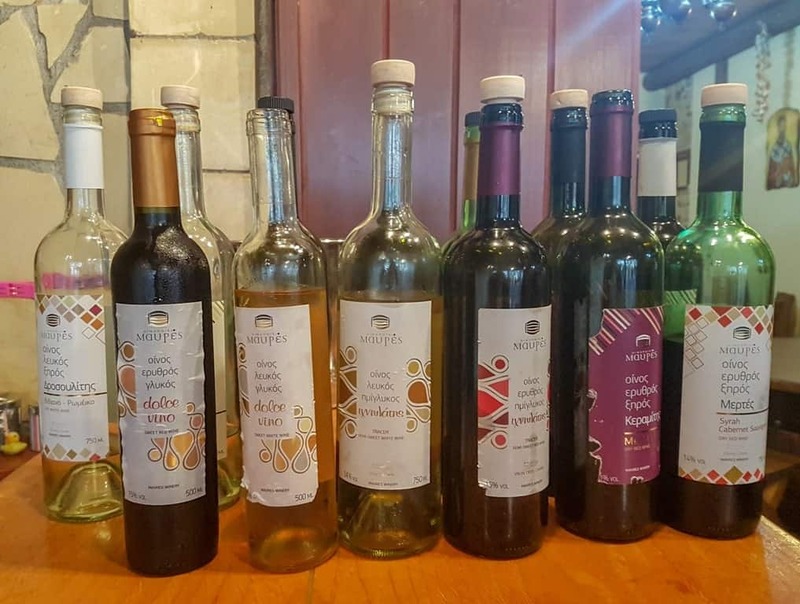 The majority of the modern-day wineries are in the northern part of Crete, which enjoys a Mediterranean climate and fertile soil. 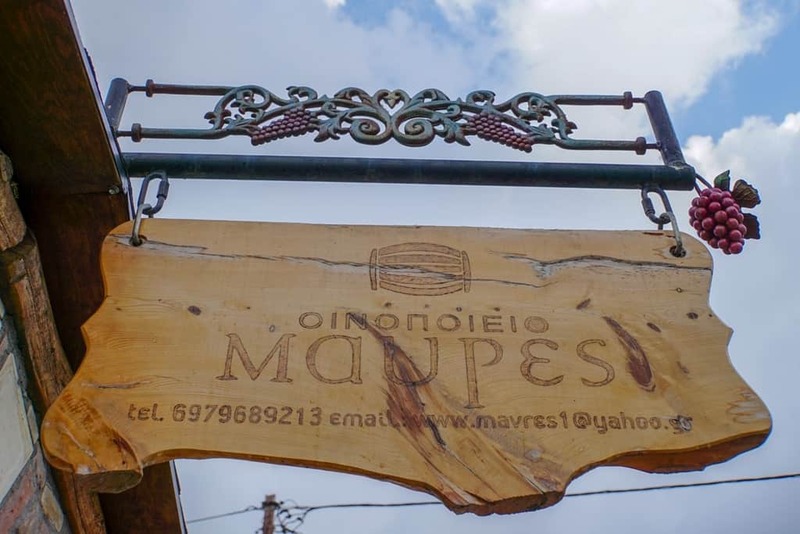 We visited the Mavres Winery, which is located near Chania in the foothills of the mountains. They are known for their Romeiko grape, the main grape varietal on Crete. They use this grape to make white, red, and rose wine. 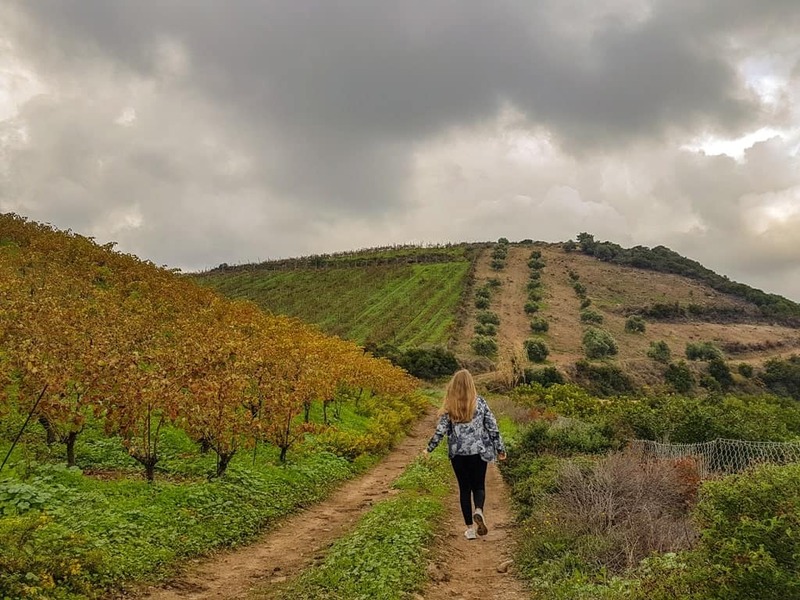 During our visit, we walked through the vineyards and learned about how both red and white wines are made, then we visited the cellars where we got to see wines in the aging process. 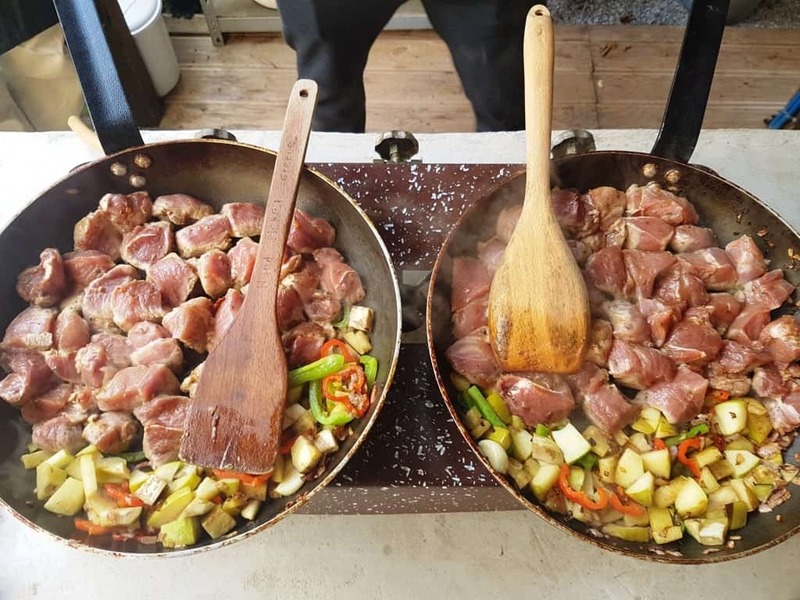 Finally, we enjoyed some traditional Cretan food alongside the 17 varietals produced by the winery. 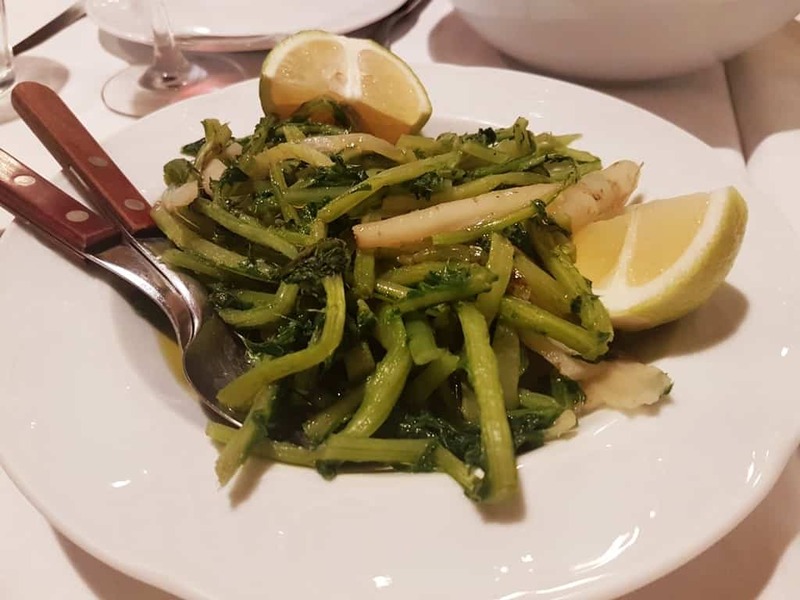 Like wine, olive oil has a long history on Crete. 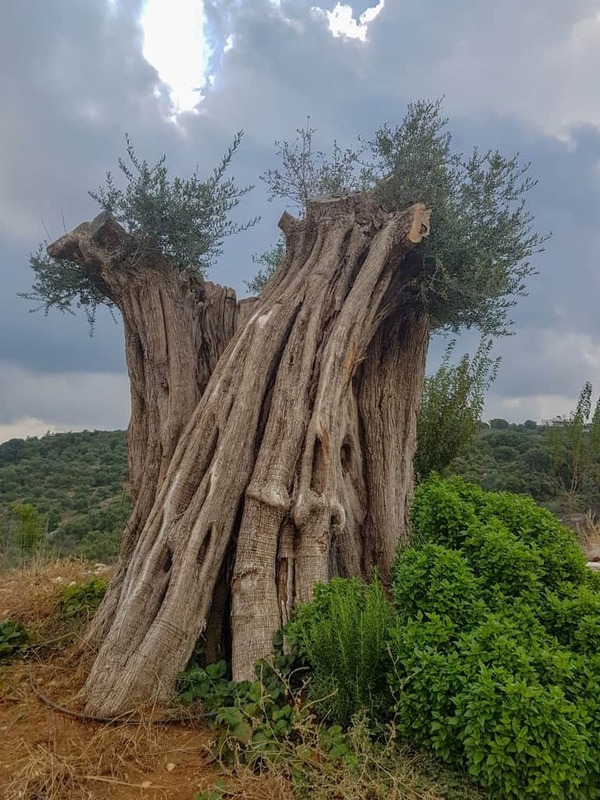 Production dates back to Minoan times, and for as long as archaeologists can find, olive trees have been symbolic to the Greek people. 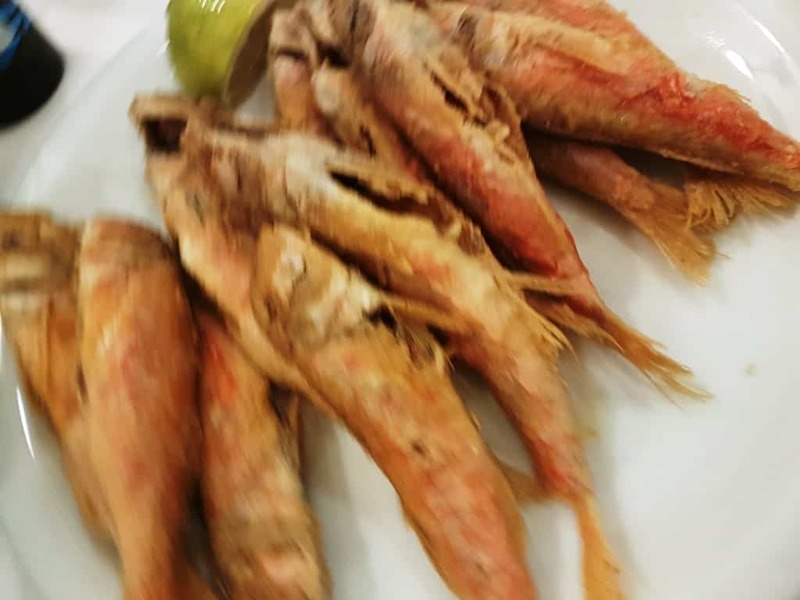 It is a staple of the Greek diet, and as a result is produced all across the country. 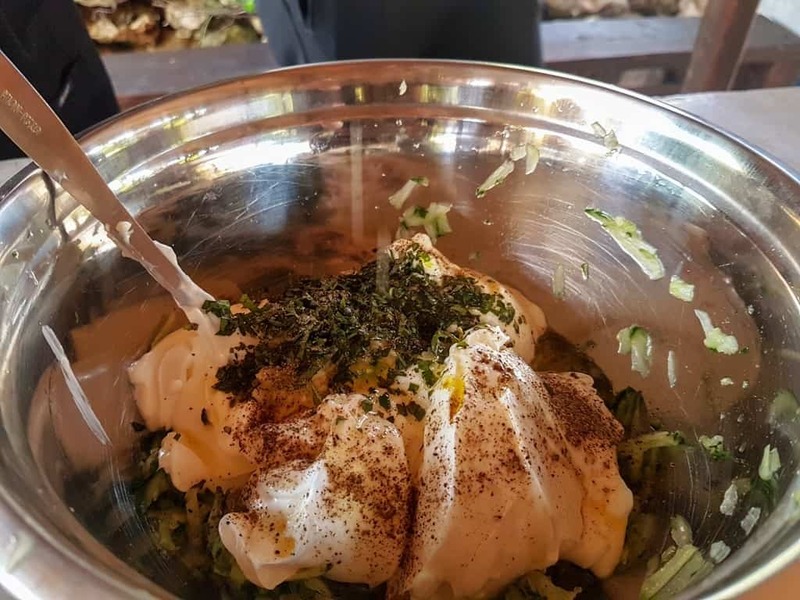 In Crete, the best olive oil productions are in the western part of the country, where the soil is rocky and hardy and the weather is the right mixture of drought and rain. 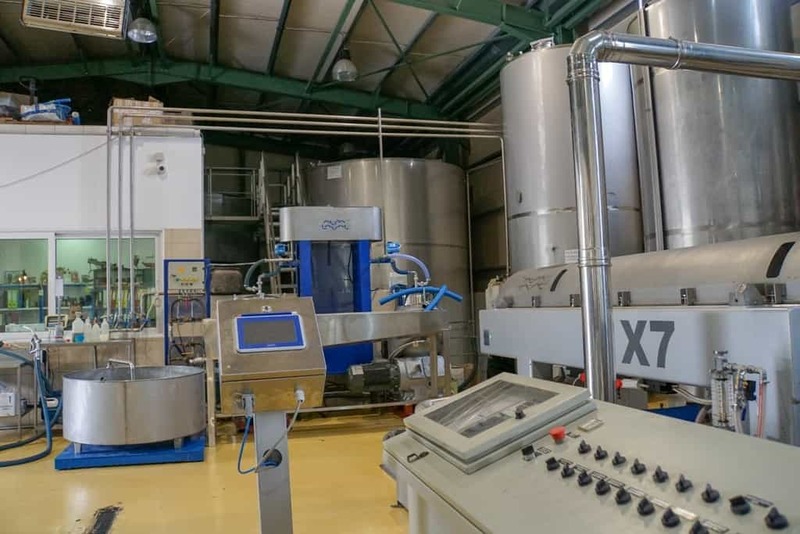 We visited the Melissakis olive mill, located near Tsivaras to learn about the olive oil production. Melissakis has been producing oil since the 1890s, and it remains a family-owned company. 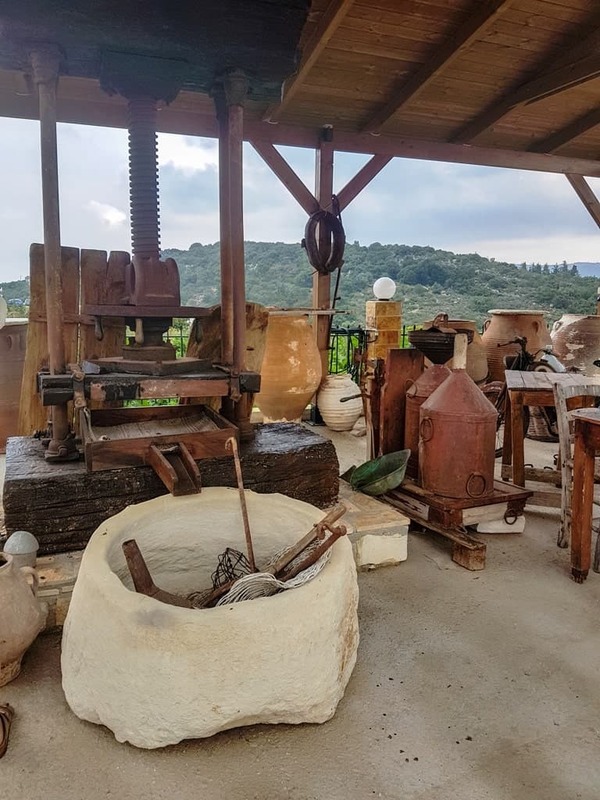 They still have an original olive press, to show how oil used to be made, but the majority of the production takes place in the new facility, which opened in 2008. 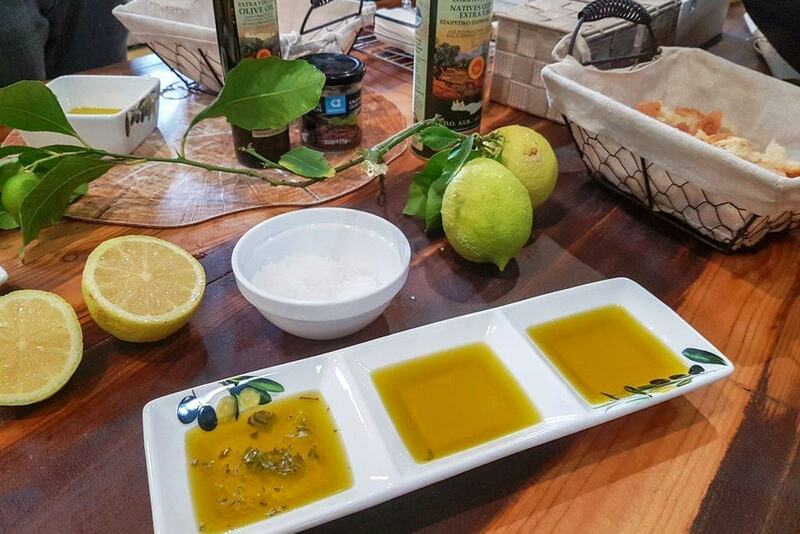 They also educate their visitors on the differences between extra virgin and virgin olive oils. Basically, extra virgin is the best olive oil, and has a low acidity. Virgin olive oil has more acidity and is not as highly regulated as EVOO. Our tour ended with an olive oil tasting, which was very interesting and unique. 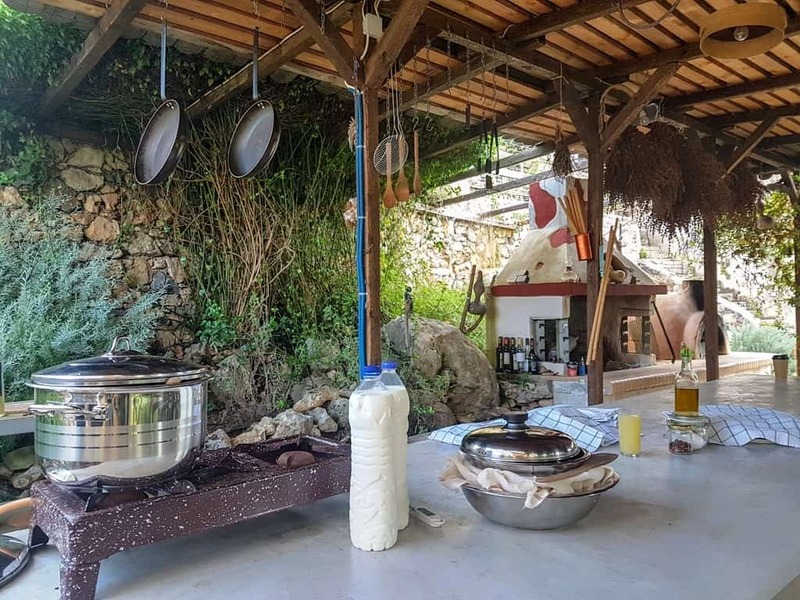 Food and culture meet at a traditional olive farm on Crete. 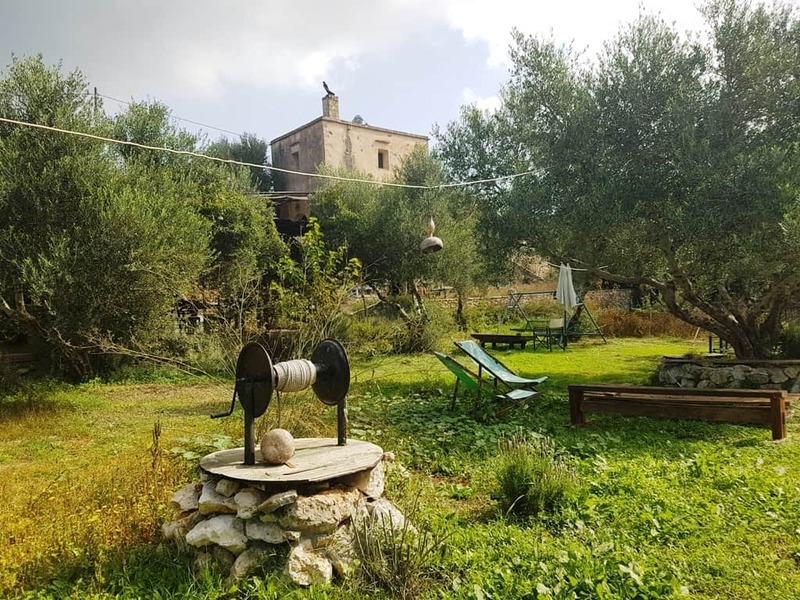 Some of the activities at The Olive Farm, which is located near Litsarda, include cooking workshops, olive harvesting workshops, wine seminars, yoga classes, olive oil soap workshops, and activities for kids. They also have animals like rabbits and chickens, and many gardens full of vegetables and herbs. During our visit to the farm, we walked through these gardens to pick what we wanted to use for our cooking lessons. Cooking lessons take place in an open-air kitchen on the porch. This is where we made our own cheese, tzatziki sauce, salads, and pork. 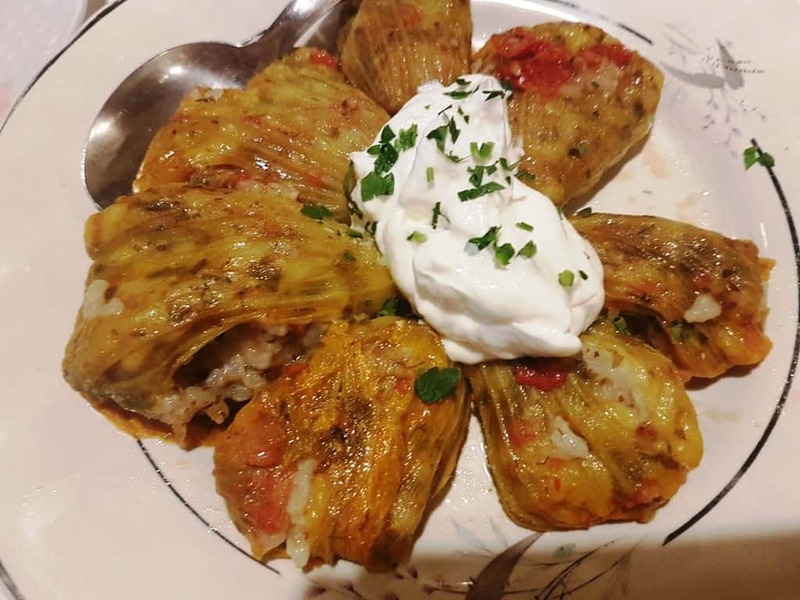 It’s also where we drank raki and dined on our homemade meal. 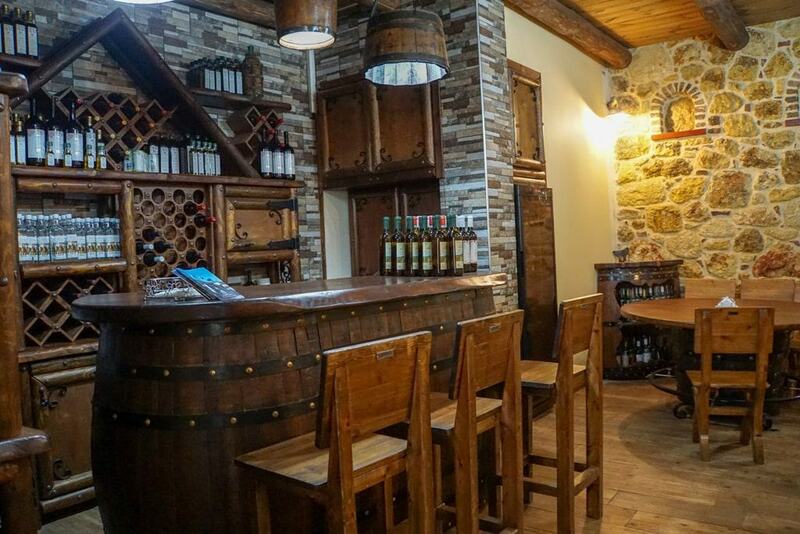 The farm is a great place to learn more about the traditional foods and drinks of Crete. Aptera was one of Crete’s most significant city-states. Settled in the Minoan period, it’s greatest period was during the Hellenistic era (323-67 BCE) when it flourished as a currency minting centre and merchant port city. Aptera, which is named for the goddess Artemis, declined during the Roman era, and was finally abandoned during the Byzantine era. Some of the ruins here include the city fortifications, the ancient theatre, a collection of Roman cisterns that provided water to the town, several Roman houses, and a necropolis. There is a later monastery that was in use until the 1960s, and several Ottoman era fortresses. Koules, one of these fortresses, was built by the Turks to fight the Cretan revolution. It is near another fortress, called Itzedin, which was built in the late 19th century. These are all easy to get to by private car, or you can take a local tour. Crete’s October weather is still nice enough for a beach day, or a hike, and there are plenty of opportunities for both on the island. 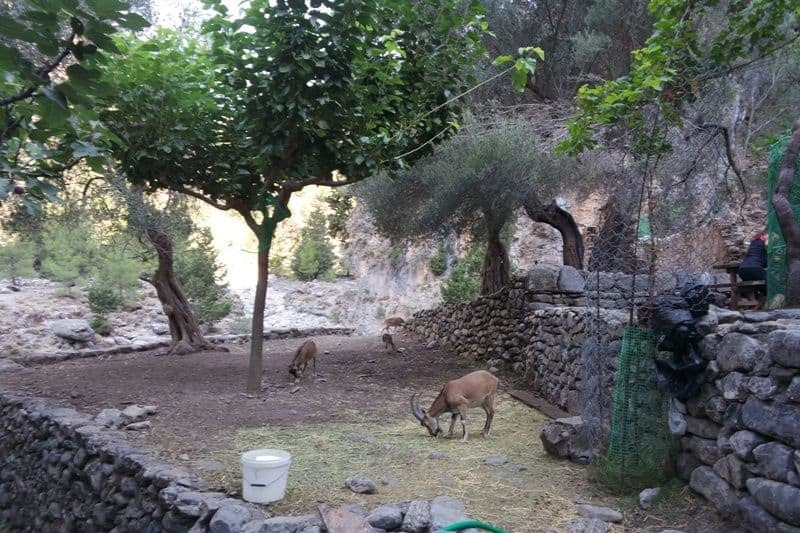 October is the last month to hike at the famous Gorge of Samaria, because it is impassable over the winter. The gorge, which is located within Crete’s only national park, closes at the end of October and doesn’t reopen until May. Be sure to wear comfortable shoes, take plenty of water, and enjoy the scenery and small churches of the longest (or second longest) gorge in Europe. 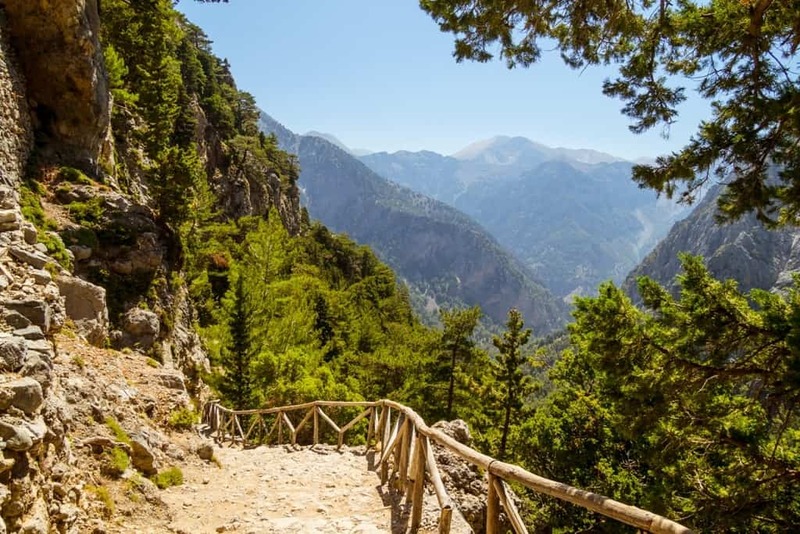 Check out my guide to hiking Samaria Gorge. 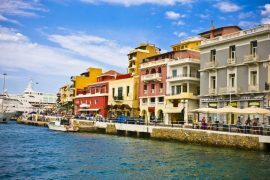 Chania has an abundance of hotels to choose from. 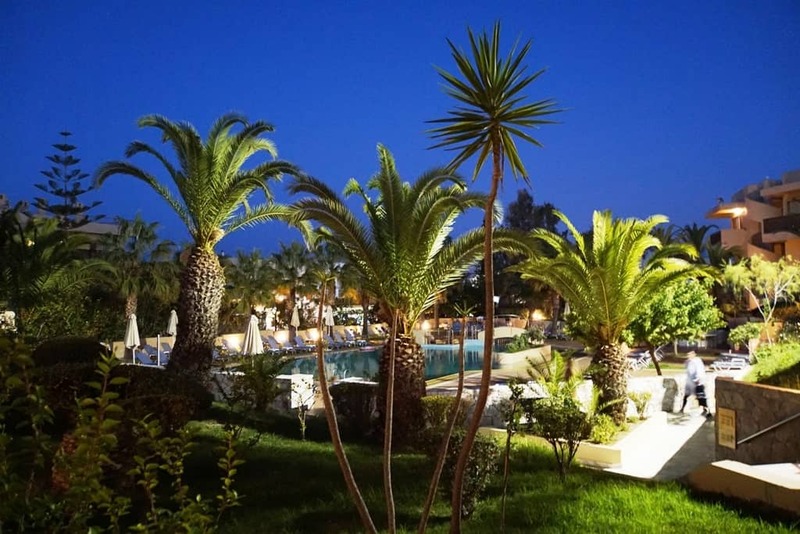 On my recent visit we stayed at the Santa Marina Beach Resort hotel, located in the coastal village of Agia Marina, just 8 km away from Chania Town. 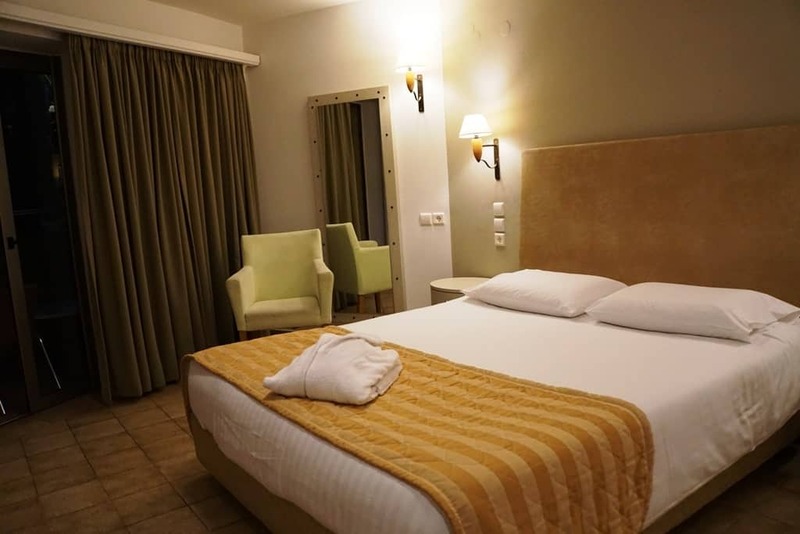 Hotel facilities include spacious rooms with air-conditioning, direct access to the beach, swimming pools, a children’s playground, bars, and restaurants. 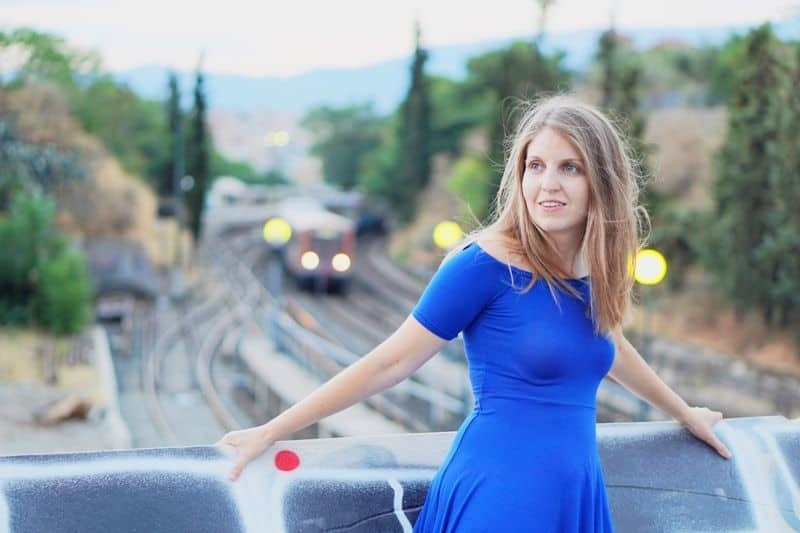 You might also want to check my guide on where to stay in Crete. By air: There is an international airport in Chania with scheduled flights all year around. I flew from Athens to Chania with Aegean Airlines. During the high season (April to October) there are charter flights to Chania from many European airports. You can take the ferry from Athens port (Piraeus). The ferry will leave you at Souda port which is just outside the town of Chania. 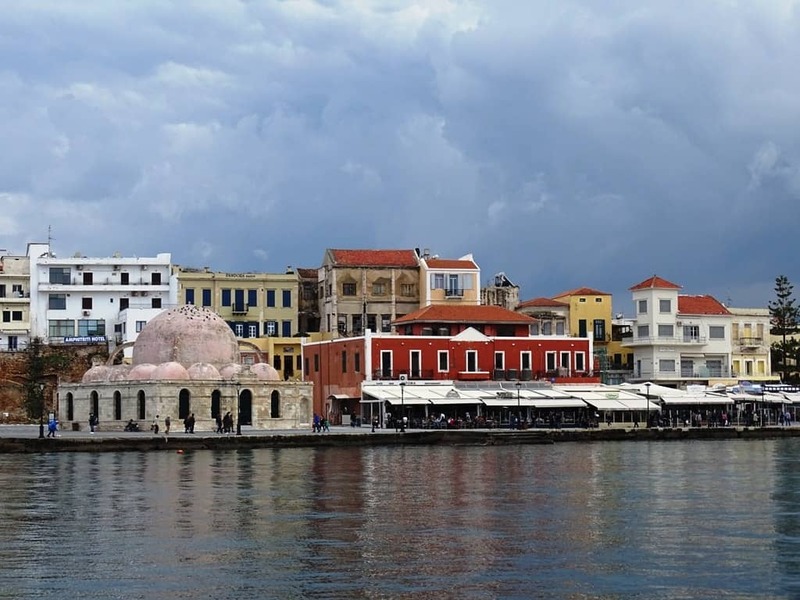 From there you can take the bus or a taxi and discover the scenic town of Chania. For more details about the ferry schedule and to book your tickets, you can check here. I loved being on Crete in October! The weather was great, the crowds were very minimal, and there was still plenty to see and do. If you’re going to Greece, Crete is a great addition to any itinerary. 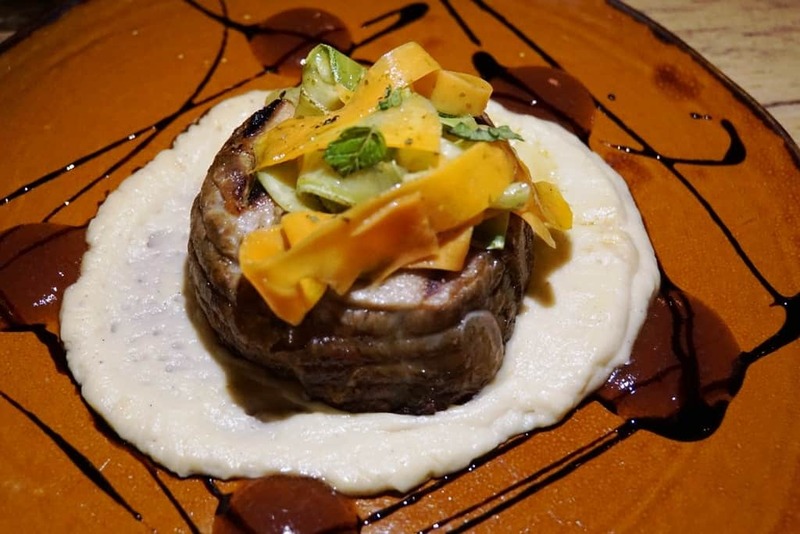 There’s excellent food and wine, incredible ruins, and beautiful landscapes across the island. I highly suggest going to Crete! 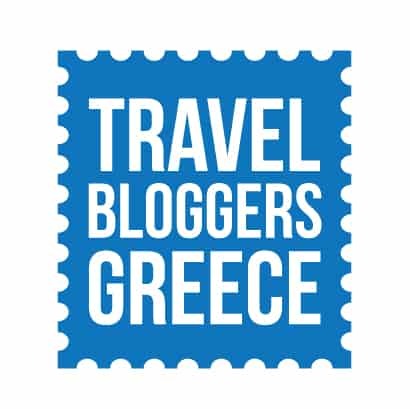 This trip was organized by Discover Greece, but as always opinions are my own. 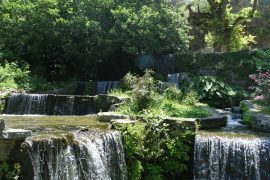 Crete is beautiful year round, but it is especially great in the off peak months like May and October. There is so much to do here, that you will have a hard time deciding! This article gives a nice overview. 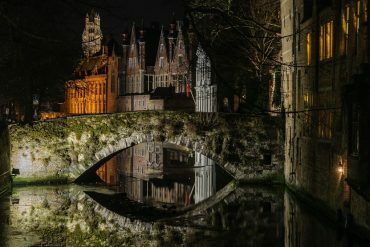 Ghent or Bruges? Which one to visit on a trip to Belgium?